From the latest Farm Progress Show, Rick Smith, Marketing Director for KSi, had several big takeaways. The From the latest Farm Progress Show, Rick Smith, Marketing Director for KSi, had several big takeaways. The major one was this: Handling seed gently is becoming more imperative further and further back in the process. Now, farmers that are growing and producing seed for the seed companies are being asked to handle seed more gently before it even comes into the processing plant. When they harvest on their farms, they are getting a better premium for their seed when it comes to the processing plant, if they are using belt conveyers to handle that seed. USC treater and KSi conveyor. 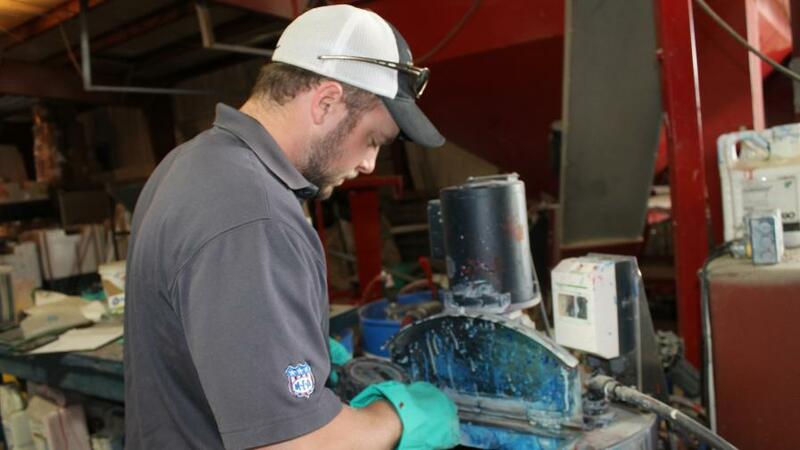 The KSi 4808NGA Seed Applicator, now in its fifth year of production, along with the KSi AutoTreat — its seed treatment automation platform — are the heart and soul of the operation and the big money-maker for KSi’s customers. According to Smith, data management continues to become more and more important on the automation side. With AutoTreat, a customer can go back and look at what they’ve done and know they’re treating accurately, and can prove it after the fact. Whether they need to show the data to their boss or they own multiple seed treating locations, all the data can be pulled into a single report or be watched over through the cloud. Seed being treated by retailer MFA Inc. in Missouri. KSi equipment ensures 80% coverage on seed in the atomizer before it ever gets to the drum — which makes for a faster, better drying process that cuts down on problems like sticky beans. As chemical companies keep piling more and more layers of treatment and the additional powders to counteract liquid on the seed, KSi takes that into consideration with the rates and processes that are run, Smith explains. It may add a staging hopper to the system, which is a holding hopper that allows seed to dry a little longer after exiting the treating system. Aside from the extra chemicals going on the seed, another concern is that the more the seed is handled, the more dust there is. KSi addressed that this past year by testing a Seed Filtration System on some of its systems, and good feedback encouraged the company to expand that testing on more sites this year. It’s one of those incremental improvements to the process that can make a difference, he says. It’s basically a closed-air filtration system that grabs and pulls dust and other foreign material, and serves as one last filtering before the seed goes into the atomizing chamber so it is as clean as it can possibly be. Have We Reached Peak Seed Treatment? USC is taking a major step this year toward high-speed treating with technology it carried over from other industries. It is introducing new, patent-pending nebulizing technology to its LPV Seed Treater that has the capacity to treat 3,000-plus units an hour. “This technology is fairly revolutionary for the capacity that we’re talking about and really takes what happens within the chamber to a whole new level,” says Jim Renyer, USC Owner. The system was developed based on demand in the wheat and cereal grain markets, which are looking to treat at higher capacities. “Everyone knows time is the name of the game. Now they’re treating at around 1,800 pounds a minute, so you should be able to treat what you were before in an hour in 35 minutes,” Renyer says. USC is also answering the call of companies seeking to add more chemistry onto the seed. Products are launching this spring that will take use rates up to 10 ounces per hundred weight from 8 ounces, causing seed to be wetter coming out of the treater. Its Seed Conditioner delivers high-flow air on a belt and takes the seed from treater to conveyer, bringing the moisture down to a manageable level in the process. So how much more can be put on the seed? “It’s not so much a concern of germination, as product manufacturers manage those issues in their product development processes. 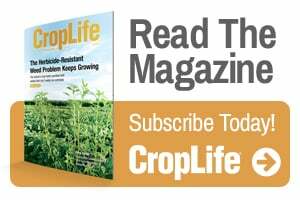 But rather it is a factor of making sure that once the seed is treated we can handle it, and get it to field, and get it in the ground correctly,” Jeff Ochampaugh, AgriLead President, tells CropLife®. 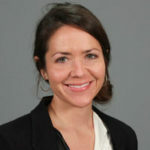 “As the treatments become more concentrated with higher levels of active ingredients, that’s getting harder and harder. My hats off to all of the applicator manufacturers for the many outstanding treating systems they have developed,” he adds. “We can accommodate making sure the seed still comes out at the same quality they’re looking for with our conditioner. We can slow it down, put more air through it, and widen it out. There are different things we can do to help as the chemistry side of the industry advances the seed treatments that are out there,” Derek Hemphill, Director Sales and Service Seed, North America at GSI Group Inc., says. “Normally what will happen is the seed treating commercial market will say, ‘We’re getting ready to launch this product — can you help us solve this problem?’ We have that happen quite often and enjoy the opportunity to serve the industry through innovation,” Renyer explains. USC has found it important to get out more in front of the innovations in the seed care industry, and has formed a new product development team, although Hemphill and Renyer declined to divulge the details. “Our belief system is, how do we help the seed industry and farming industry through these innovations? It’s important for our company to have an active role and impact in the larger-scale goal of the agriculture industry to feed the world,” Hemphill says. 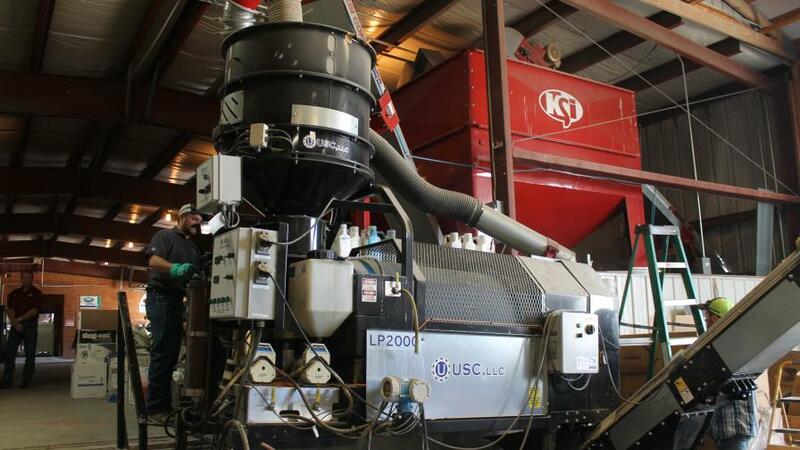 Due to added demand, devoting more attention to its U-BATCH treater is one area of focus for the company, driven by increasing requests by the overtreat industry — in other words, customers who take seed that’s been coated with a base fungicide and/or insecticide, and then overtreat with a biological that is time-sensitive. The company has also noted a dramatic pickup in interest in U-BATCH from the cover crop industry, where it is used as a blending system with the end goal of boosting soil fertility, Hemphill says. Yet another new launch for USC is in the works: its U-Treat v 4.0 automation platform, which is currently in trials. From the equipment perspective, AgriLead’s leadership in the industry has been empowering seed care operators with a prescription management and information systems that generate meaningful and understandable use-rate instructions and application directions for the user. “When we consider the size of seed being treated, we need to be able to deliver the exact and correct rate of active ingredient on a per-seed basis rather than on volumetric basis,” says Ochampaugh. A common misunderstanding Ochampaugh frequently encounters is that seed size rate adjustments are important because of the surface-area differential in varied seed sizes. “Although it may be true that there is more surface area with smaller seeds, the rate adjustment is about properly dosing the individual seed which becomes a seedling and then a plant. For example, if we plant a standard-size soybean seed next to a smaller and larger seed, each seed germinates and grows into like-sized plants based upon the growing conditions. So really it’s all about dosing the seed correctly, which means dosing the plant and eventually the crop correctly to achieve effective stand establishment,” he explains. NOVO Seed Care Prescription Management System. 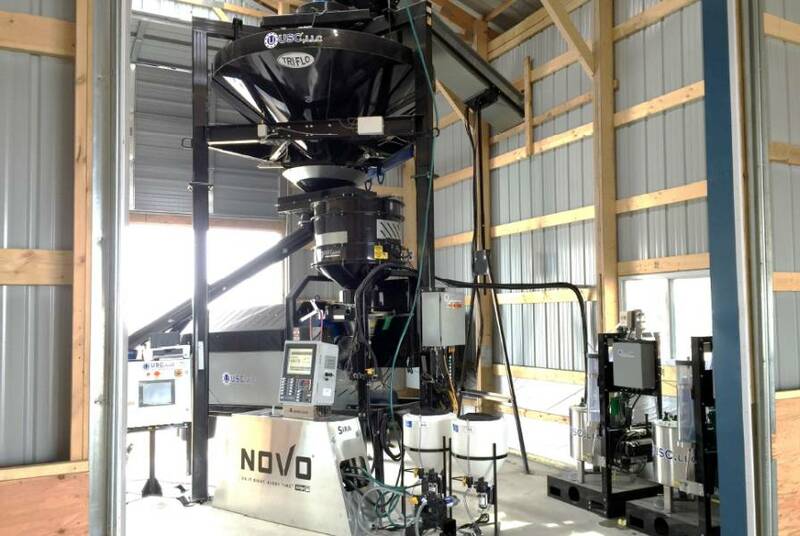 The company’s marquee product is the Novo Seed Care Prescription Management System, which mixes the treatment in an automated fashion for the operator, and transfers that prescription-mixed treatment to the application device along with use-rate instructions that result in the SIRA-calculated method, which enables seed treatment on a per-seed basis. In keeping with that, AgriLead will be launching a subscription-based virtual seed care management system in the 1st quarter of 2018. The new system will provide seed care operators with a platform of record keeping and operational management designed to work in conjunction with their existing operational assets. “In addition to providing operators with new tools and prescription management capabilities, with the new system we begin to create a comprehensive trail of information that can follow that seed throughout its life. That’s the next place where we’re going,” Ochampaugh says. One thing all three seed care equipment companies have in common: top-notch service as a selling point. One of the major reasons GSI proved to be such a good fit as a partner with USC, in fact, was due to its track record as a servicing dealer. Over 95% of its treaters have a servicing dealer less than 200 miles away. “We put this dealer network on such a steep learning curve, and they perform. That’s the caliber of dealer we have. They understand the customer and they understand the equipment. The whole theme of 2016 was bringing a quality service network to the industry. That’s what is amazing about downstream seed treating: It didn’t exist 16 years ago,” Renyer says. At KSi, one of biggest changes Smith has seen is the ability through the AutoTreat platform to provide a call support center and a remote access element that allows the company to take thousands of calls, “and handle those calls more quickly and efficiently than we could if we were just trying to describe things over the phone,” he says.